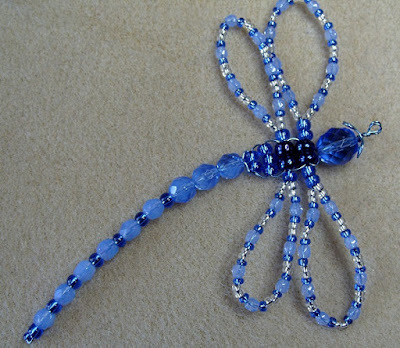 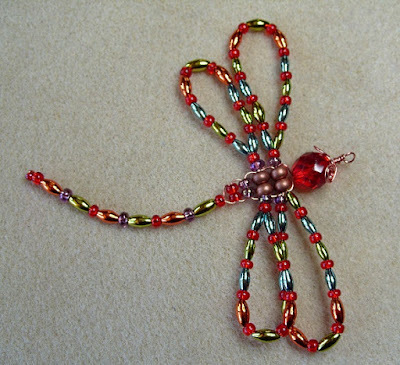 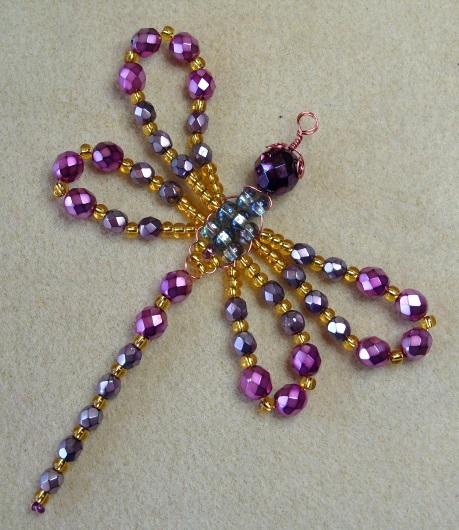 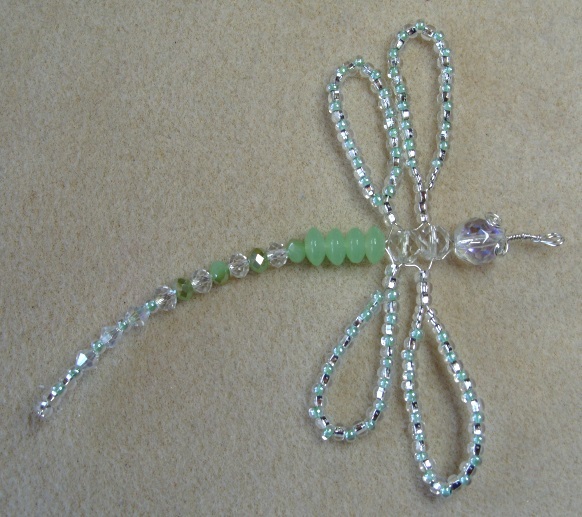 I love making dragonflies - these are made in much the same way as my little dragonflies but with bigger beads and thicker wire. Made with 6mm and 8mm fire polished crystals and seed beads. Various crystals, seed beads and few green saucer beads. 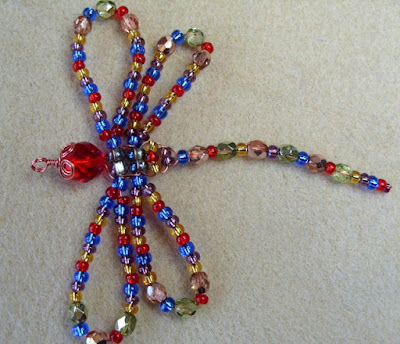 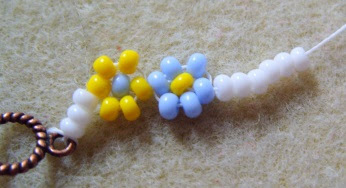 Mixed colours of seed beads and crystals. 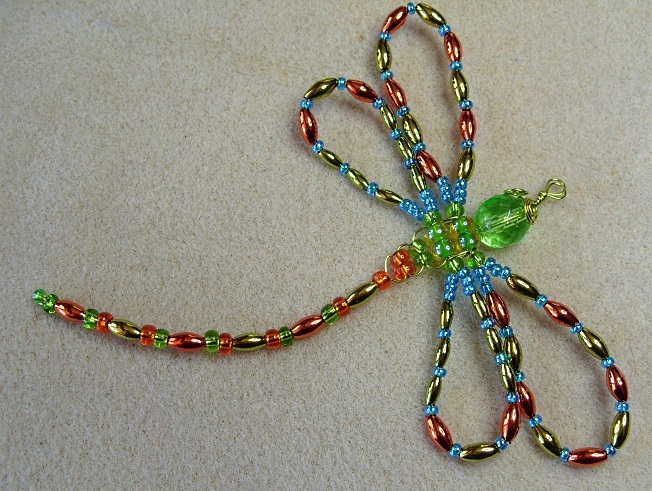 Fun to make and decorative too!